Professional wrestling’s pop-culture moment may have last peaked in the era of the Rock and Stone Cold Steve Austin, but a new generation of athletes and event promoters are hopping back in the ring. 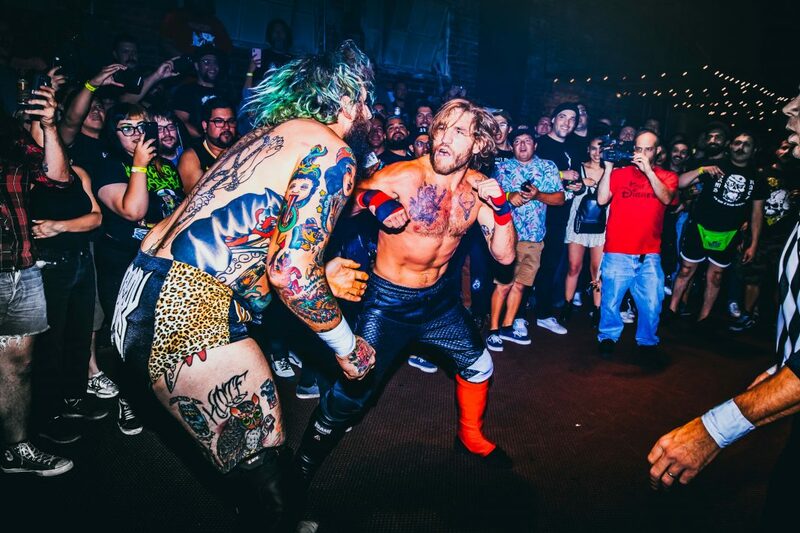 An underground scene has taken root in L.A., staging independent wrestling events in bars and nightclubs–and just as the overwrought production and commercialization of 1970s pop begat the stripped-down era of punk rock, these DIY promoters are going for less pomp and more edge. Suburban Fight event producer Madison Woodward was already booking concerts around L.A. when he observed an interesting overlap in audience. 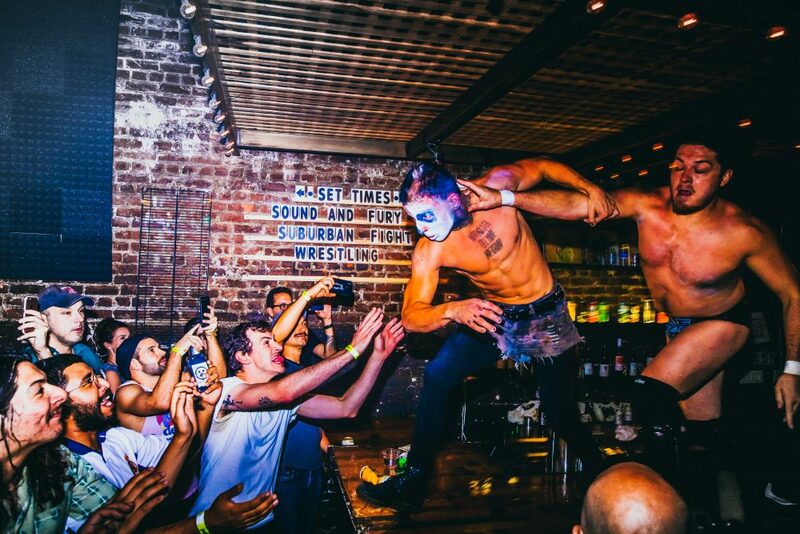 He decided to combine wrestling and rock by staging events in spaces typically used as music venues rather than traditional wrestling arenas, and interspersing sets from bands between the bouts. The event series draws audience members who may be there just for the music–or out of curiosity–rather than relying entirely on existing pro-wrestling fans. “Eighty percent of our crowd have probably never been to a wrestling event before,” Woodward estimates. Woodward added another innovation to his shows: Doing away with the iconic ring setup and allowing fighters to compete all over the nightclub, from on stage, to atop the bar, to right in the midst of the crowd. Renting and installing a ring is a big expense for a promoter just getting into the wrestling game–and it limits the venue options to spaces that can accomodate the set-up. What started as a logistical call, however, quickly became Suburban Fight’s signature attraction. And while the fans loved the idea of seeing the fights up close, the fighters themselves were initially hesitant about the idea. 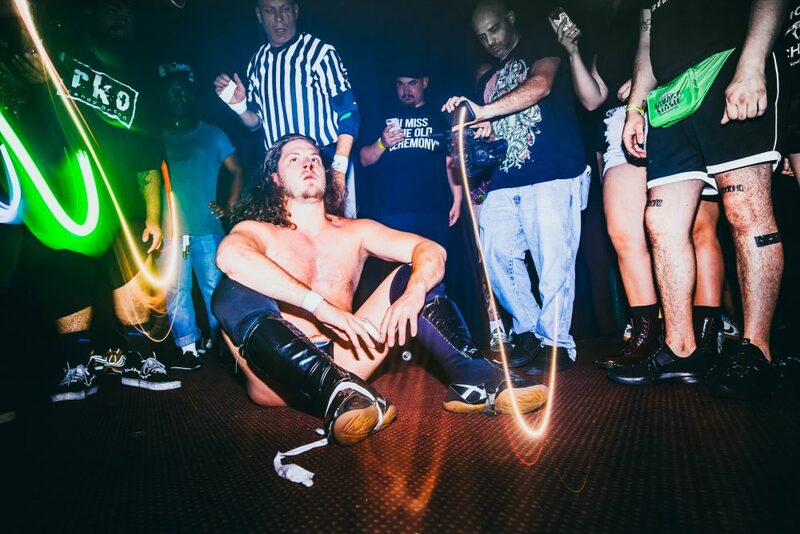 Woodward is one of several promoters working in L.A.’s underground pro-wrestling scene. SoCalUncensored.com, a site that aggregates local wrestling and MMA events, lists dozens of scheduled matches–and while many take place in arenas and sports facilities, a growing number are popping up in bars, nightclubs, and DIY performance spaces. 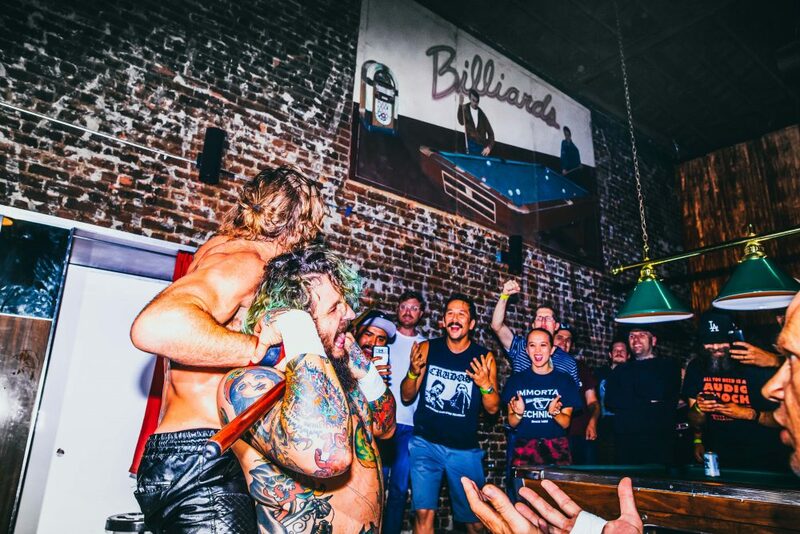 The Hi Hat in Highland Park, has become a favorite venue, hosting the most recent Suburban Fight event, as well as another series, Nuclear Heat Wrestling. Nuclear Heat Wrestling–which calls itself a “female-run underground hipster show” aims to bring an inclusive, indie vibe to pro-wrestling, while maintaining some of the classic traditions fans like about the sport. The events use a ring–albeit one that’s set up in the middle of what would be the concert venue’s floor–and attract female and male athletes, many of whom also appear on the mainstream WWE and Impact Wrestling circuits. L.A.’s recent wrestling mania supports larger events as well. The Pro Wrestling Guerrilla tournament, held annually, started out in the Hollywood Los Feliz Jewish Community Center. Last month, the event sold out the Globe theater downtown for three straight nights at $80 to $100 per ticket–and their website hawks Blu-Rays and DVDs of the action for the many fans who couldn’t get in. At the Mayan theater, Lucha VaVOOM stages events that mix Mexican lucha libre wrestling with burlesque performances, comedy, and live music. What all the events in this new wave of wrestling share is their intimate approach–and that seems to be connecting with both fans and athletes.